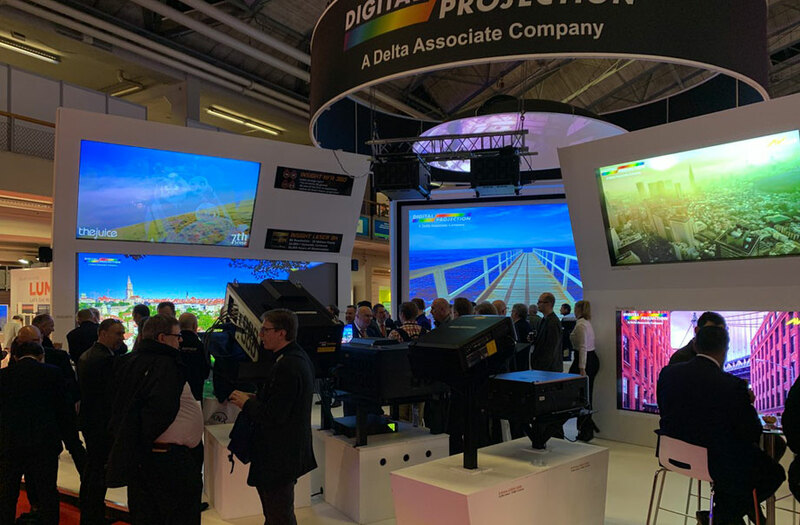 The Digital Projection booth at ISE 2019 debuted the INSIGHT HFR360 Multi-View Projector. 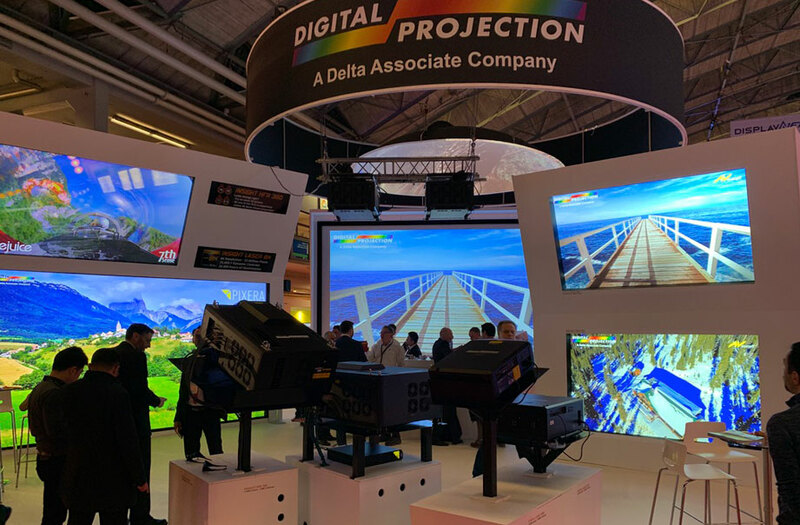 With Multi-View 3D projection, a single projector, with ultra-fast frame rates, will accommodate multiple viewers, each being tracked and each having a view of the image that remains appropriate to their changing position. 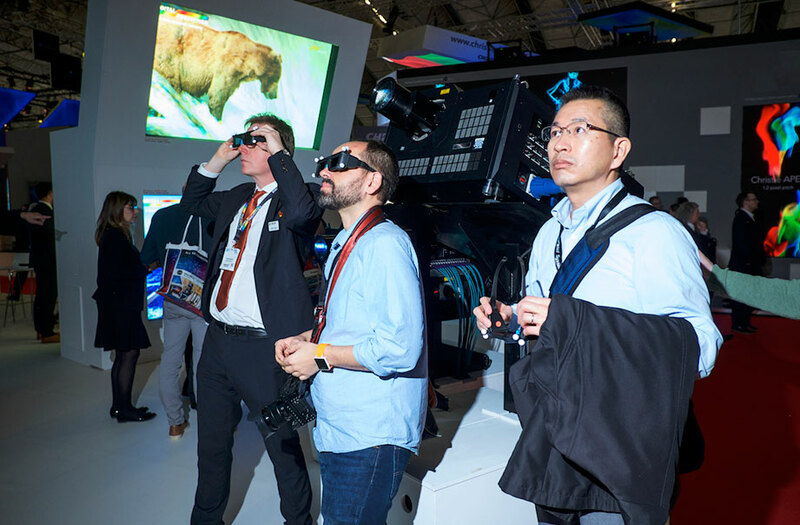 This allows the users to see and interact with each other in a truly shared collaborative manner. 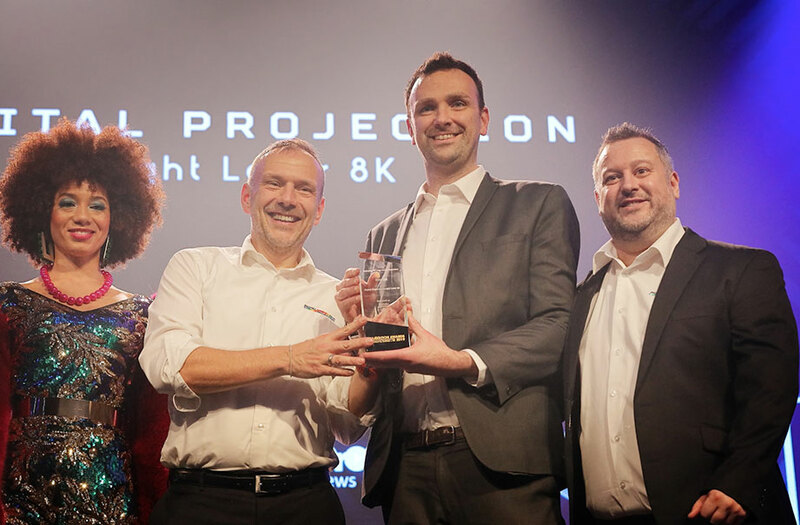 Also shown for the first time was an even brighter version of the INSIGHT Laser 8K – the worlds first 8K Laser DLP projector. 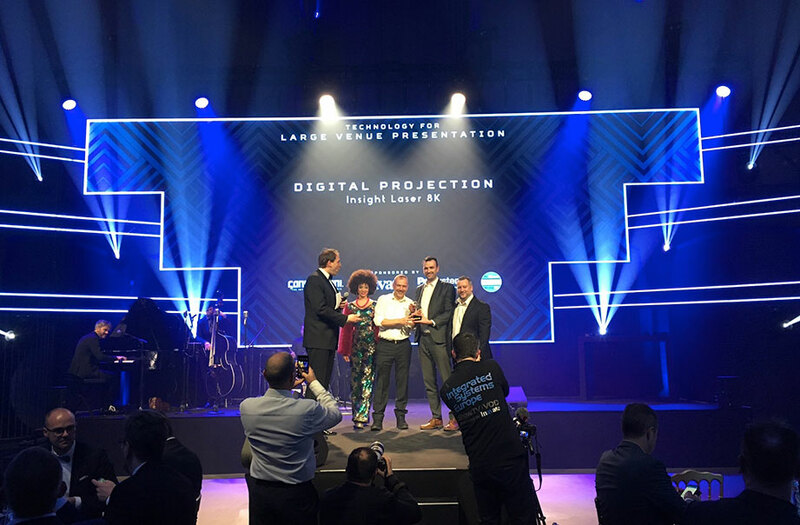 Boasting 36,000 Lumens and crystal clear image detail, the projector’s stunning image quality looks set to wow audiences for a long time to come. 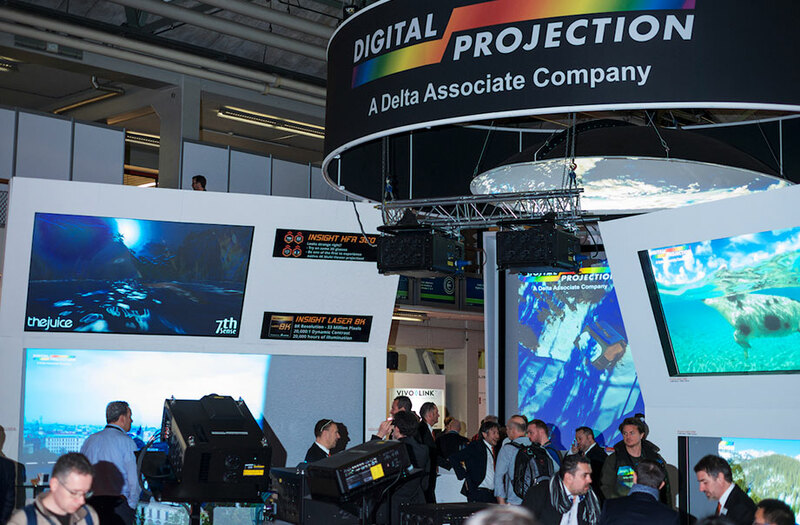 Solid-State, lamp free projection was demonstrated throughout the booth. 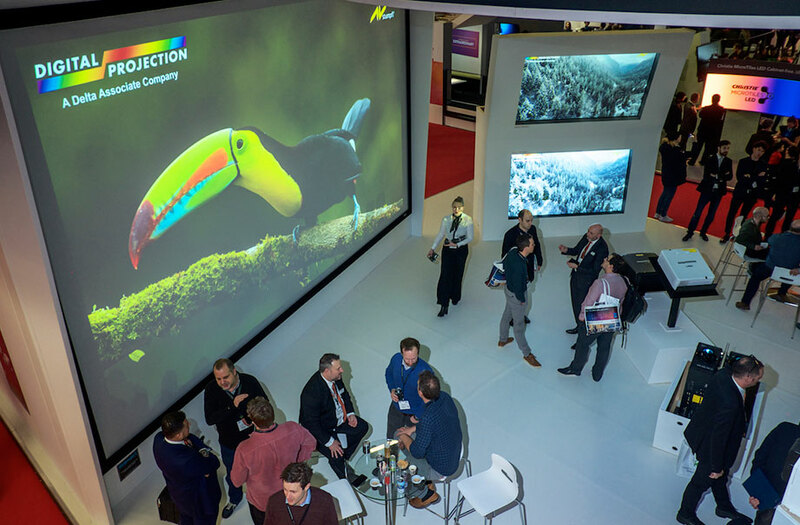 The new M-Vision Laser 21000 and E-Vision Laser 13000 both demonstrated their superb colour capability with their ColourBoost + Red Laser technology while the new TITAN Laser projectors, developed specially for the Large Venue and Live Events market wowed visitors by creating stunning 4K-UHD images on a 7m screen. 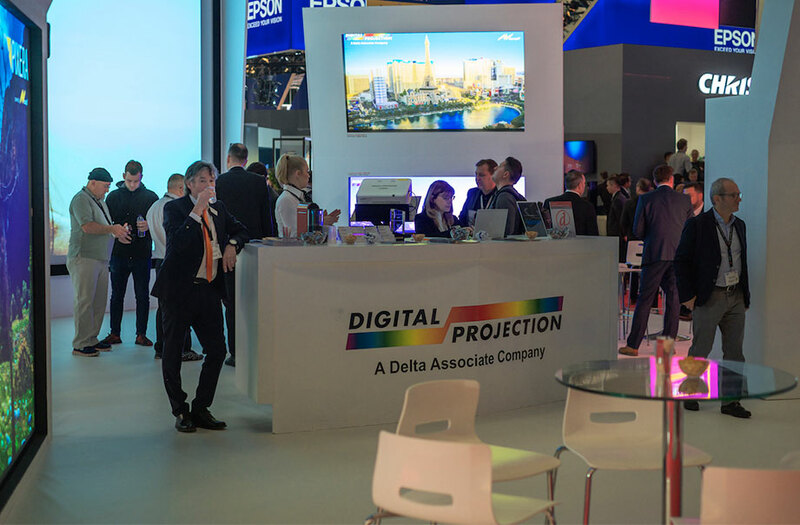 Finally, 2 M-Vision Laser 18K projectors were blended to create a stunning dome projection, demonstrating the flexibility that laser projectors bring. 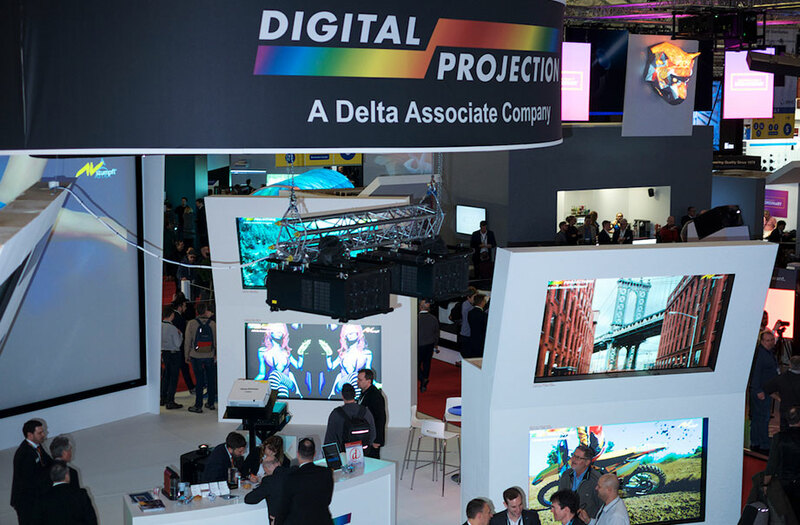 Also on the show floor was the RADIANCE LED range of Narrow Pixel Pitch 2D and 3D LED wall.